View More In Lab Bottles & Jars. 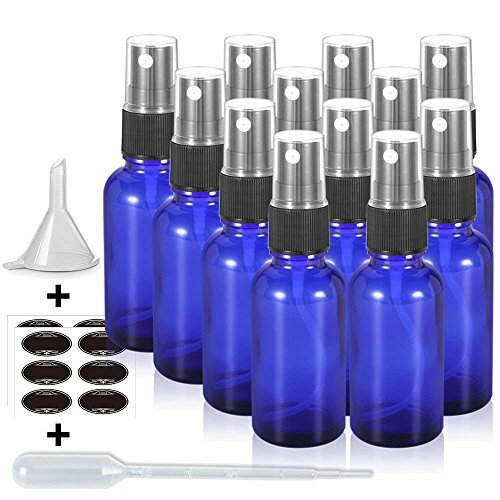 Glass Spray Bottles are the most convenient and economical way to dispense essential oil blends, are perfect for storing your essential oils, perfumes or colognes. The convenient size makes it an excellent choice for trial sized samples and for travel. Glass refillable spray bottle is perfect for essential oils, perfume oils, or other liquids. Effectively and safely store and use your liquids, glass is much safer than plastic that can leach liquids under certain conditions.Glass Scrub Bottles helps protect contents from harmful UV light. Utility tool Included Mini Funnel and 3ml Transfer Pipettes. Prevent oil spills, perfect to use with small bottle openings. easily transfer oils between bottles. If you have any questions about this product by Olilia, contact us by completing and submitting the form below. If you are looking for a specif part number, please include it with your message.